Given much thought to picking up a Nook HD+? Neither has anyone else, which is why Barnes and Noble is keen to sweeten the potential deal by adding a pretty enticing bonus to the package: a free Nook Simple Touch. Free free free. The promotion begins this Sunday, March 24th, and promises a free $79 Simple Touch with the purchase of any $269 HD+. You'll be able to pick up the pair either at your local Barnes and Noble assuming you have one, or through nook.com if you don't. Or if you don't like to leave the house. But you probably shouldn't bite. The 9-inch Nook HD+ has sweet features like a 256 PPI screen and rare ones, like a microSD expansion slot. But it falls flat in software—just like the Nook HD—due to a complete and utter lack of Google applications or even access to the Google Play Store. Ouch. 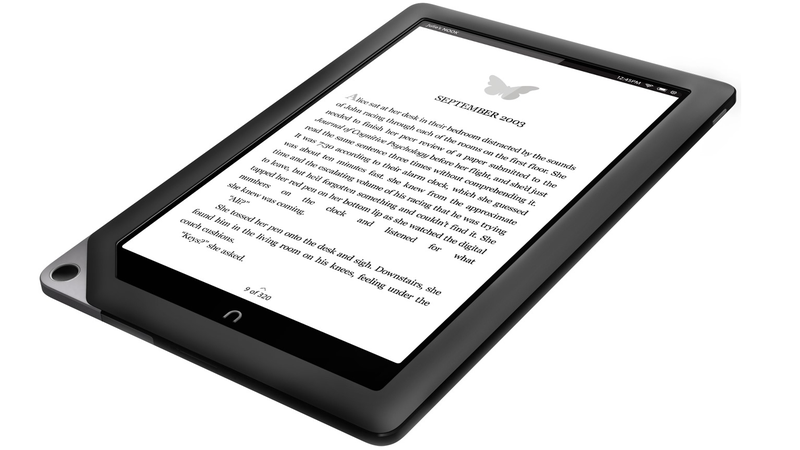 The Nook Simple Touch was, in its day, our pick of the eReader litter. And though it's been made obsolete by the Nook Simple Touch with GlowLight, it's still a damn good reader. And at an $79 value, it's a steal for free.